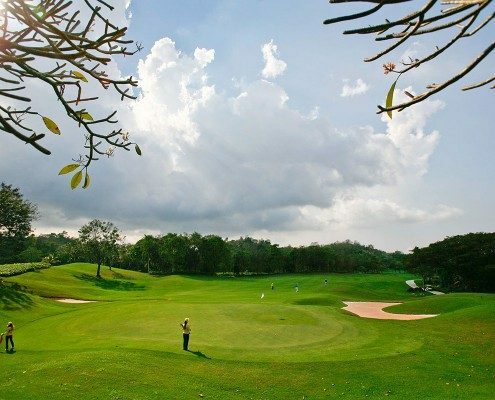 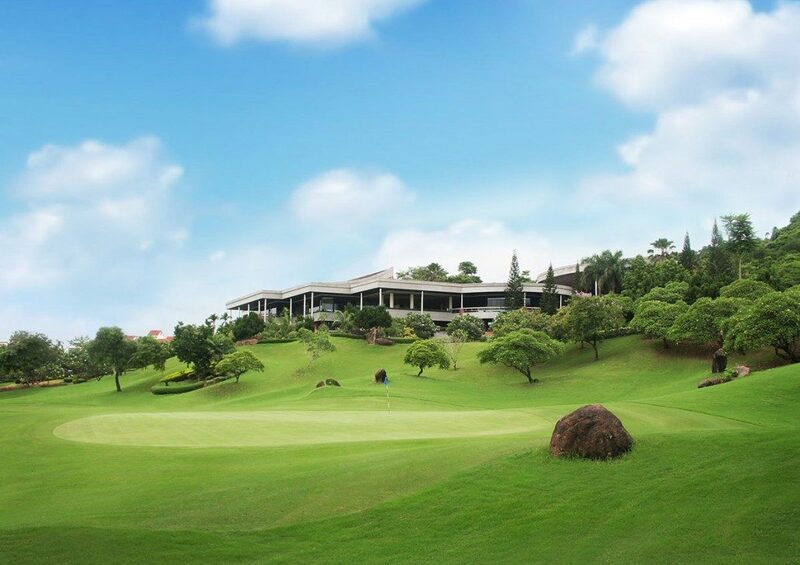 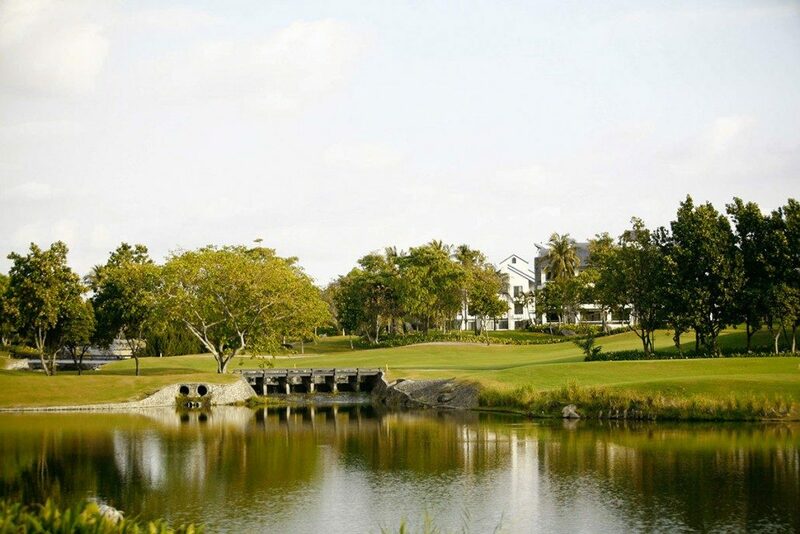 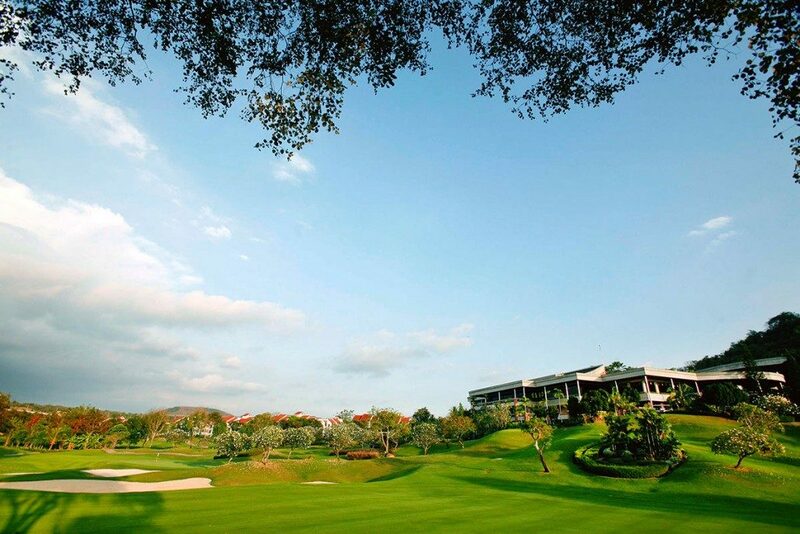 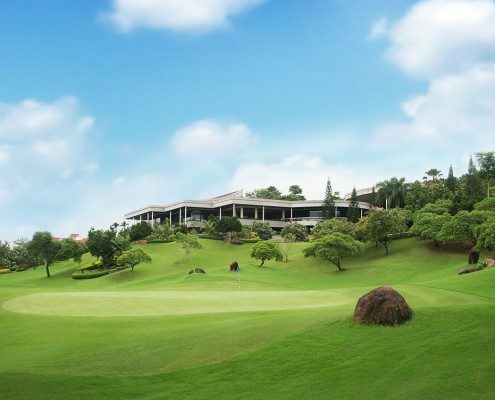 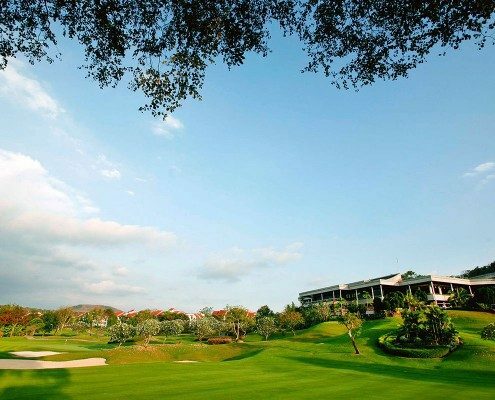 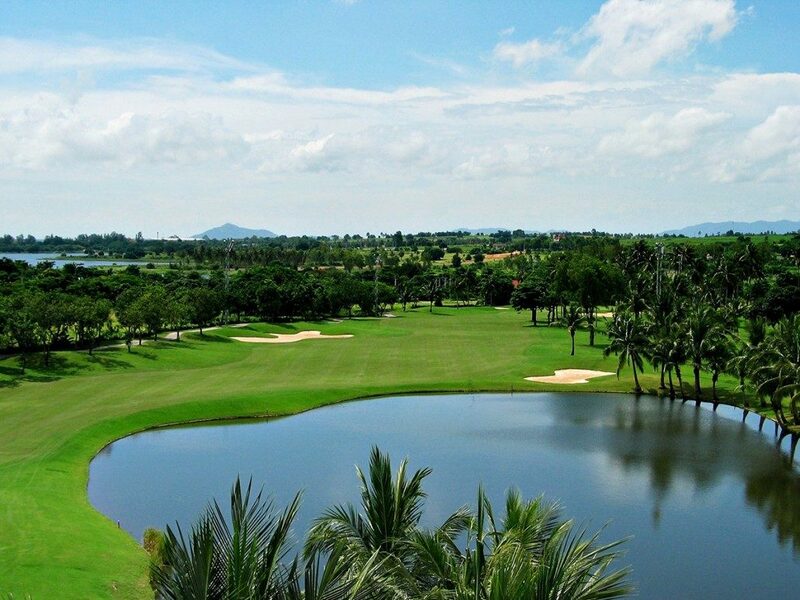 Laem Chabang Golf Club is Pattaya’s only Jack Nicklaus designed course. 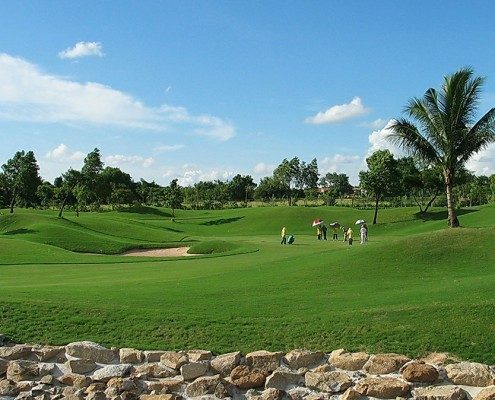 It is considered the best layout in Pattaya and truly one of Thailand’s finest. 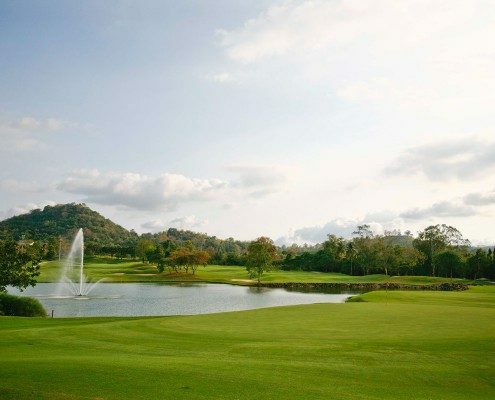 Laem Chabang is widely hailed by critics for the unique usage of the land’s mixed terrain of mountains, lakes and river valleys. 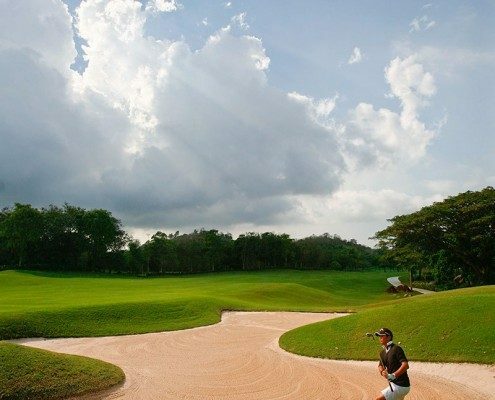 The rolling hills of the surrounding countryside have been used to great effect and hazards to prevent shots from reaching greens are in abundance. 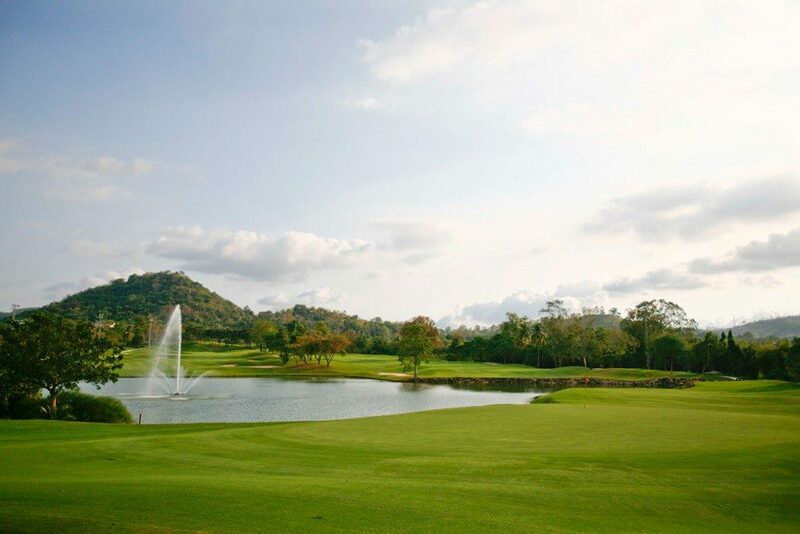 Not only does the course have a lot of bunkers, sand traps and water hazards, there are also a lot of natural hazards in the shape of exposed rock formations, lakes, ponds and creeks. 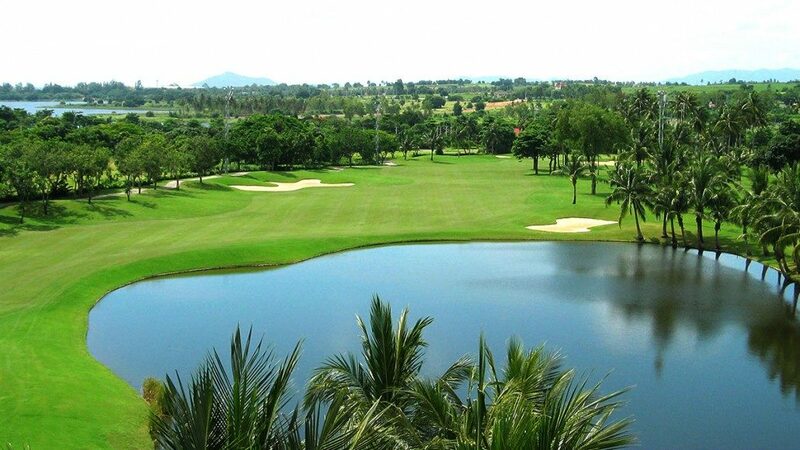 Cleverly shaped holes skirt water hazards and tall coconut trees. 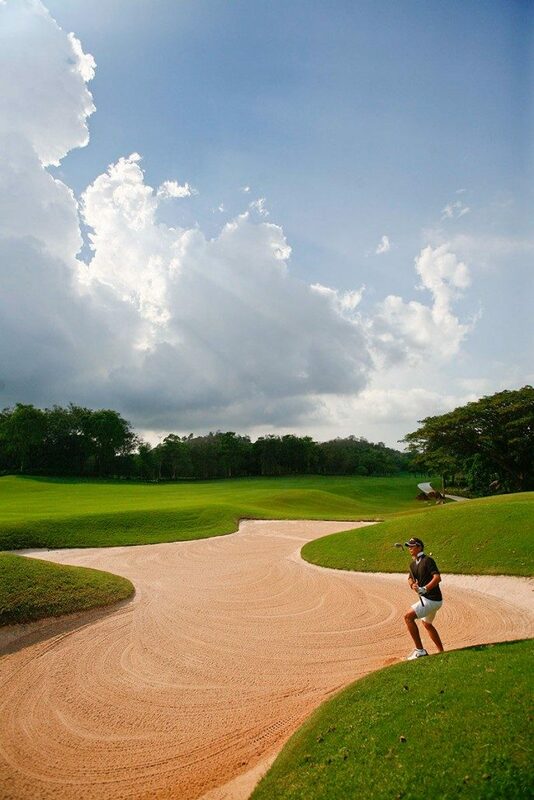 The large, undulating greens are mostly elevated and protected by wide bunkers. 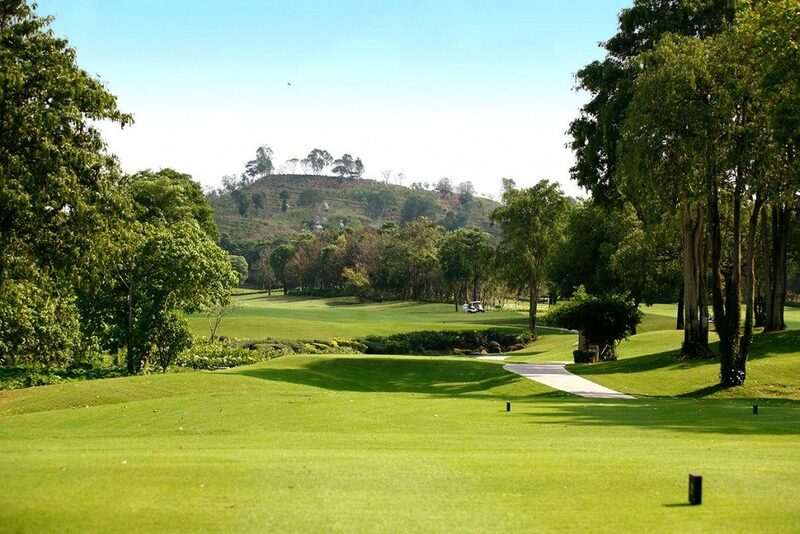 The Mountain 9 is 3,446 yards in length and plays around many hills. 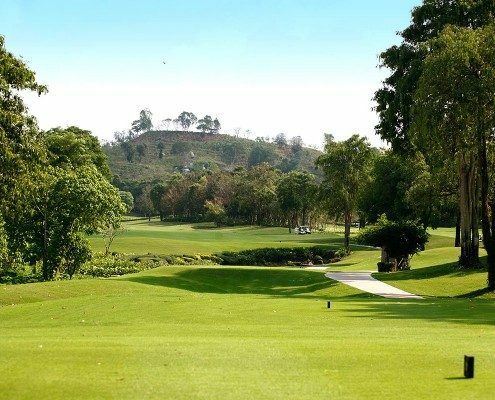 The opening hole on the Mountain-nine requires you to squeeze the ball through a lush “canyon” of vegetation, but there’s more space out there than you at first think. 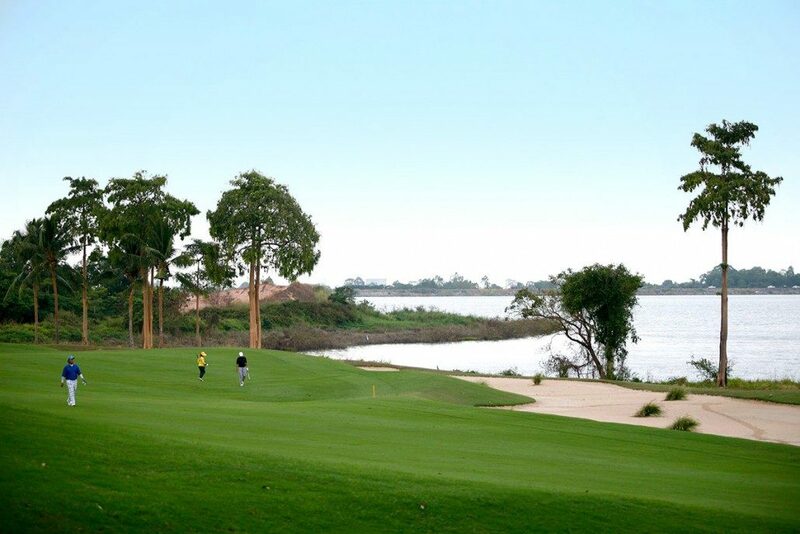 The second, a wonderfully water-fronted downhill par-3, is just about as good as short holes get. 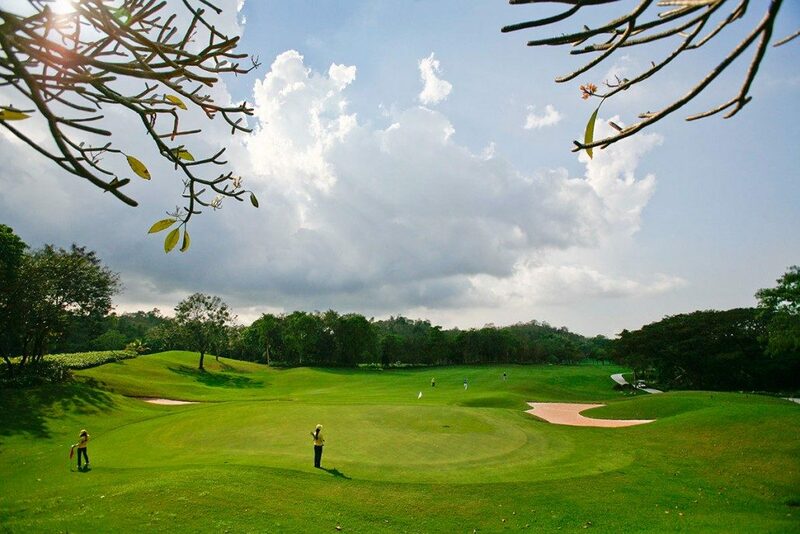 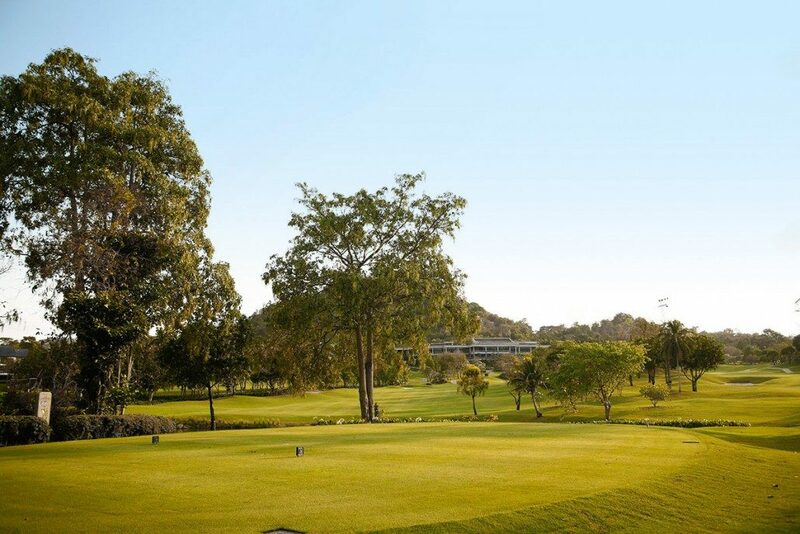 From there on, you will be challenged by the course’s natural undulations, occasional water hazards and excellent sprawling bunkers that protect the front and sides of many nicely elevated greens. 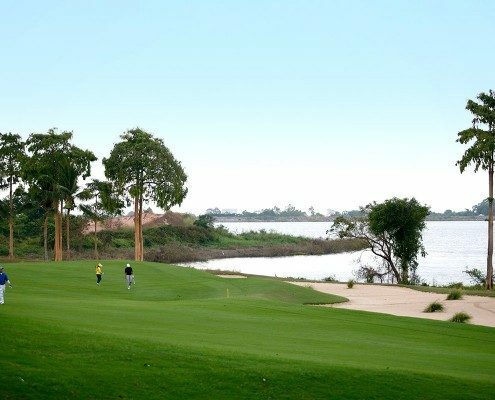 The Lake 9 is 3,419 yards in length with a stream meandering through most all the holes. 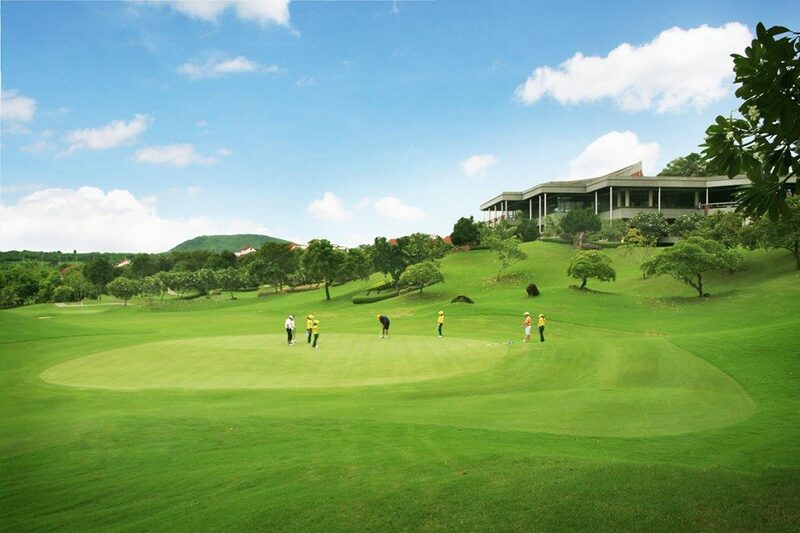 The Valley 9 plays the longest at 3,619 yards, and is shaped in the foothills of the surrounding mountains. 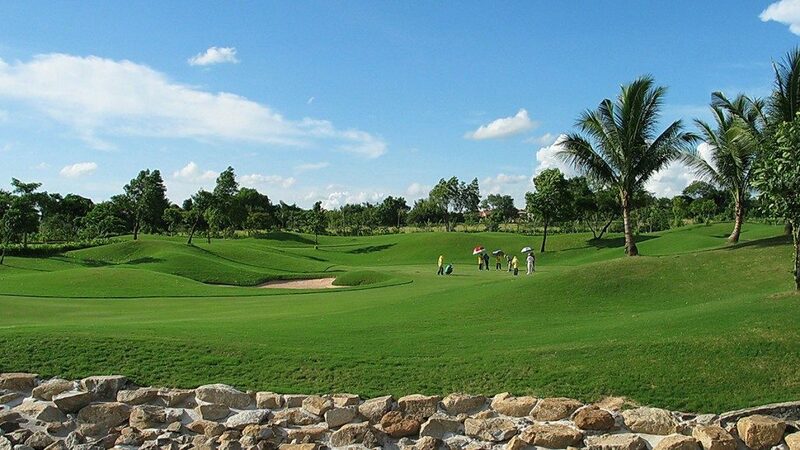 Although the presence of water is not overwhelming (apart perhaps from on the opening four holes of the more technical Valley-nine), when it does occur, it does so with full force and knee-trembling impact. 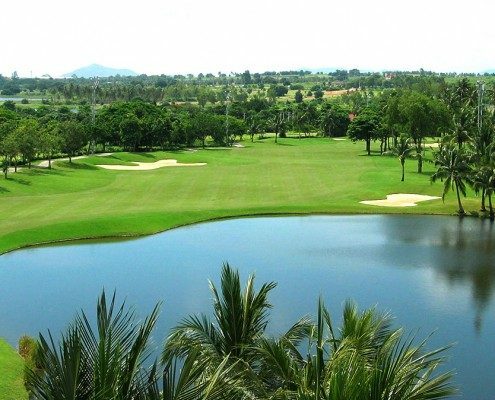 This top course is a must play for anyone in the Pattaya area and should be included in all Pattaya golf holidays! 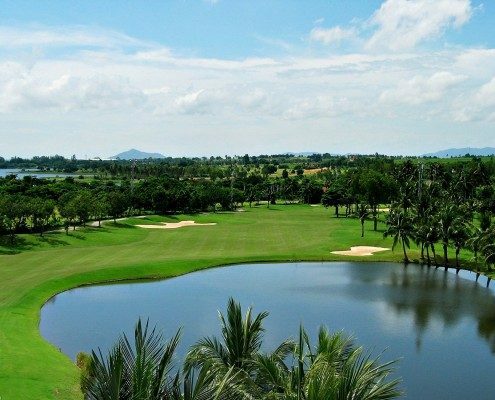 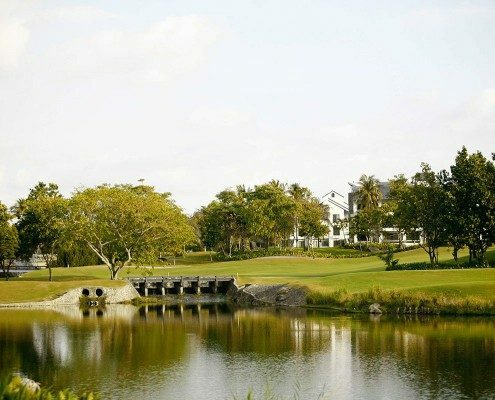 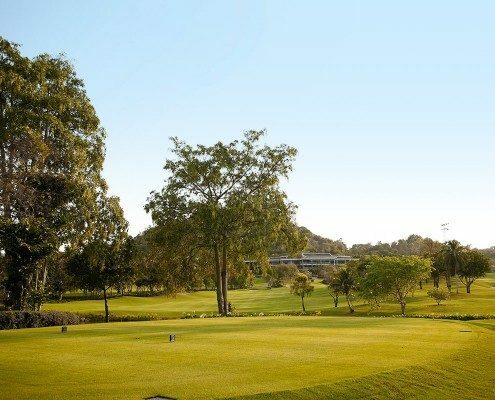 Also, being located around 1:15 from Bangkok makes Laem Chabang Country Club a consideration for those in Thailand on a Bangkok golf vacation as well. 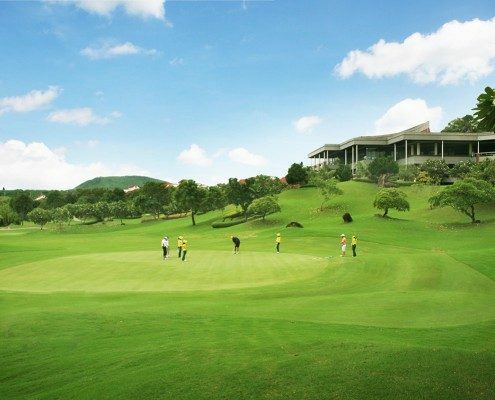 Visit Laem Chabang International Country Club on Golfasian.com for more details.